iNDLABS started its journey in the year 2010 and is rapidly growing to become one of the pioneers of IT services in India, Middle East and the United States of America. With customer centric global engagement and delivery module, iNDLABS is providing Solutions and Services encompassing Big Data Services, Infrastructure Management Services and Oracle Database Services to various industry verticals. iNDLABS leverages its domain knowledge and data expertise to develop high quality, cost effective solutions specific to each client’s requirements. Database services at iNDLABS facilitate systematization, storage, management and analyzation of clients’ data. At iNDLABS we are constantly striving to move towards saving the environment by going paperless. To achieve this we have partnered with eFileCabinet which can help to convert large volumes of both paper-based and electronic files into electronic data for storage in a digital format. 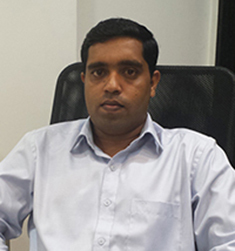 He has over 6+ years of experience in the information technology industry with solid strategic and tactical expertise in Enterprise Application Management and New Product Development. He is an enthusiastic and highly motivated individual, who has a clear understanding of the role and responsibilities associated with being IT/ITES operations. With his core expertise, he has a calibre to contribute to the process and strategies which enhance any projects and have great strengths to deliver the projects in agreed timescales with a clear understanding of exact client needs. At iNDLABS, he heads Enterprise Application Services Delivery, encompassing Project Management, Presales, Customer Satisfaction and Service Assurance & Delivery for Americas and Middle East. He has over 22 years of core experience in setting up and managing projects focused on infrastructure architecture areas. Strong experience in technology planning, project planning, team leadership, as well as establishing and managing service measures to ensure organizational effectiveness. Striving for Technology improvement to align IT into Business objectives, Experience interacting with all levels of an organization. Excellent communications with various stakeholders across various Businesses and IT teams. Maintaining good relation with customers and emphasis on quick response to their feedback. Ensuring a high level of customer satisfaction and adherence to Service Level Agreements.At iNDLABS, he heads the Enterprise Marketing & Presales. Leading infrastructure projects, proposal development, develop Strategy and roadmap to enhance business decisions. 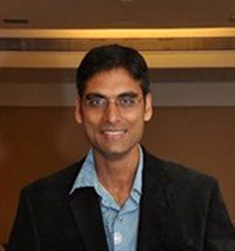 He has over 18 Years’ of background in IT industry with extensive experience in small, medium and large scale IT projects related to IT Infrastructure, Telecom & Supply Chain Industry. His expertise brings the enterprise an integrating solution for the particular project with the business domain, enterprise concerns, industry standards, established patterns, and best practices. Focused on providing solutions to different business/functional/technical areas and ensure the project meets the business objectives. At iNDLABS, he heads the Solutions Architect Division to design and upgrade existing infrastructure which encompasses acquired businesses integration with new technology deployments to support the business by closely interacting with all verticals of an organization.